What Does The Best Bond Cleaning In Hendra Cover? Finding and selecting reliable house cleaning in Hendra is not easy. The most common questions we get asked by people like yourself have been collated below to assist you in making a smart decision. 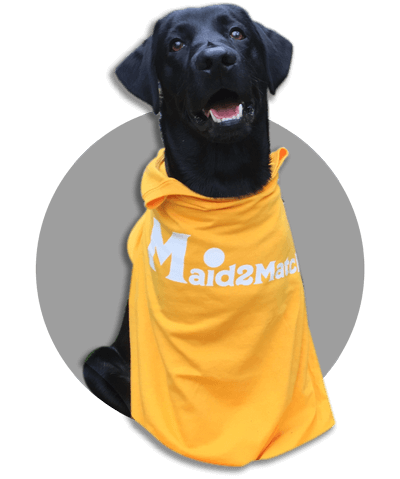 WHY ARE MAID2MATCH HENDRA’S BEST AT VACATE CLEANING? The truth is great bond cleaners possess a different skill set than regular house cleaners and therefore requires specific experience, dedication, and a first-class cleaning checklist. At Maid2Match, we personally vet all our cleaners, after having them complete a three-part application form. We provide extensive support and have crafted the most effective bond cleaning checklist you’ll find. Don’t take any chances with your bond clean price Brisbane, contact us today. One of Brisbane’s suburbs, Hendra is just 6 kilometres away from the Brisbane Central Business District, in the north-east direction. The streets of this quaint suburb are welcoming and cool, guarded by Jacaranda and Poinciana trees. And just like the suburbs in its vicinity, Hendra too is a residential community, with a family-oriented lifestyle. At its origins, Hendra used to be a farming community, part of the Nundah settlement. People used to grow mainly fruit here, like pineapples, citrus, and grapes, but they had dairy animals too. Nowadays, Hendra is known for its heritage listings that include various residences. On 5 Derby Street, you can find the famous Glengariff villa that used to belong to the millionaire Thomas Beirne. On 27 Bowley Street, the imposing Ardon Residence dominates the area, while on 70 Zillman Road you can marvel at the Inspice Residence. If you want more mundane distractions, there are plenty of restaurants, cafés, and pubs where you can have a nice pastime after you’ve visited Hendra’s antique shops. Or you can always visit the Toombul Shopping Centre, as well as the other quaint shops on Sandgate Road or on Junction Road. After that, there’s always Doomben Racecourse, as well as the beautiful T.C. Beirne Park.